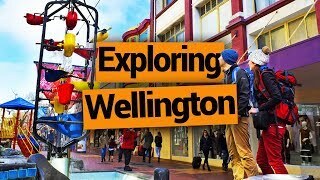 You don’t have to dig too deep into your pockets when exploring the Greater Wellington region. 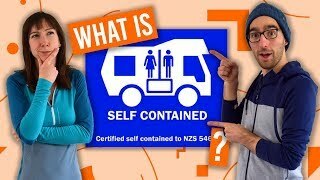 The councils have been very generous with their freedom camping laws, giving those with a self-contained vehicle heaps of options to camp for free in Wellington – even in Wellington city itself! Just take a look at the list of free camping spots in Wellington below. From the city to deep in the forest, there are many places you can camp for free in Wellington. Those with a non-self-contained vehicle have multiple Department of Conservation campground and council-run campgrounds to make use of. 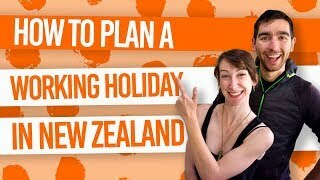 But remember, where ever you end up parking for the night, please respect the 11 Golden Rules of Camping in New Zealand so these freedom camping spots remain free for the future. 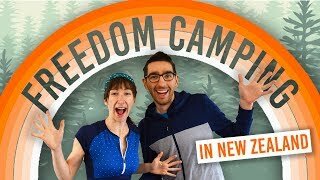 So pack up your tent or put some gas in your camper and take a look at these free camping spots in Wellington! For a freedom camping spot in the city, try Evans Bay Marina Car Park. Freedom camping is only permitted for certified self-contained vehicles with a maximum stay of four days per month. If you have a certifited self-contained vehicle you can stay at the Motukaraka Point Reserve for free as long as your vehicle isn’t longer than 7.5m. Only three campervans can be parked up at one time. A great option if you are exploring the Porirua district. While you’re there, try these 10 Fun Things to do in Porirua. A backcountry experience not too far away from your car. Graces Stream is a free Department of Conservation campsite for tents only. It’s found only 15 minutes along the Five Mile Loop Track and close to other walks in the Catchpool Valley. On the Rimutaka Rail Trail, Ladle Bend is a basic and quiet free camping area only suitable for tents. Nearby is the Pakuratahi River, which makes it a pleasant camping spot in summer. Better yet, it’s all part of the 3-hour Rimutaka Rail Trail hike/bike ride. Location: Turn off State Highway 2, 9km north of Upper Hutt. The carpark for the Rimutaka Rail Trail is 1km along a metal road. Alternatively, you can enter the Wairarapa end of the Rail Trail via Cross Creek Road (off Western Lake Road). From there, walk or bike to Ladle Bend which lies below the Rail Trail near the Pakuratahi River, 500m down stream off the bridge. It is well signposted on the trail. Suitable for all camping vehicles and tents, the Waikawa Campsite is a free campsite maintained by the DoC. It’s a great place to watch the native birds and be surrounded by bush. There are no facilities other than water from stream so be prepared. Location: 9km north of Otaki on State Highway 1, turn east onto North Manakau Road. Gravel Road. (Kapiti district). Park up with sensational views of Kapiti Island – a must-see at sunset. Walk straight onto the beach at this ideal freedom camping location for beach lovers. You must have a self-contained vehicle to camp here. Another beach-perfect spot along the Kapiti Coast for self-contained campers. Park in three areas designated for self-contained vehicles along Marine Parade, Paraparaumu Beach. Location: The car parks opposite 54, 62 and 69 Marine Parade, Paraparaumu Beach, Kapiti. Our final freedom camping spot for self-contained vehicles along the Kapiti Coast is on Otaki Beach. Park up at North Bank, Otaki River. A free camping spot for all kinds of vehicles and tents. Situated in the South Wairarapa district, this seaside campground is run by the council. There are no facilities so be prepared. Another free-for-all-vehicles campsite in Wairarapa, unlike the South Tora Camping Area which is more suitable for tents. Enjoy this coastal camping ground off the beaten track. Location: on the coastal side of Tora Farm Settlement Road, at the Awhea River mouth, Wairarapa. Yet another council-run freedom camping area on the south Wairarapa Coast. This might not be a great first choice as the camping area in the river flat by the Oterei River is prone to flooding. Situated in the Wairarapa Moana Wetlands, expect to see some interesting wildlife here. 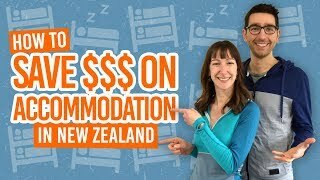 Camp for free in any vehicle or tent on the shores of Lake Wairarapa. Location: on the northern shores of Lake Wairarapa just outside Featherston. Drive down Murphy’s Line and follow the Wairarapa Moana signs. The camping area is on the right when you get to the lake. Wairarapa. Not the easiest freedom campsite to get to but those with the right vehicle (4WD) will be rewarded with a rugged coastal setting for camping. Location: Take Western Lake Road from Featherston. (50-minute drive from Featherston). Set above the Tauherenikau River, this picturesque DoC campsite is ideal for those looking to do some hikes. Those with campervans can park at the road end, while those with tents can walk along a short track to a grassy area surrounded by regenerating bush. Location: 15 minutes from Featherston, via Wakefield Sreet, Underhill Road then Bucks Road to end. 5km of gravel with steep sections.